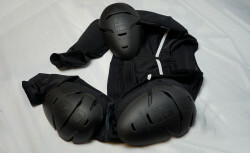 The Predator Kit is our shoulder and elbow protection, ideal to complete our chest/back protectors. It is designed to protect riders without hindering their movements. BUMPER is the latest innovation from RXR Protect: an orthosis designed for extreme sports. 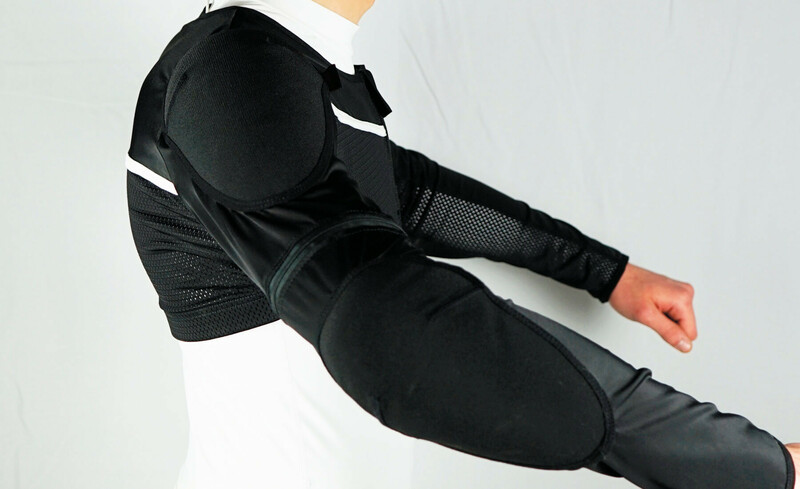 The Bumper is a fully adjustable shoulder pad with a rigid articulated part, a removable bicep cover and a foam lining: comfortable, ventilated , The BUMPER follows the movements of your body. Have you ever had a shoulder injury? The BUMPER is the ideal tool to support your shoulder, to compensate for the weaknesses, and to give you the confidence necessary to focus on the practice of your sport. It adapts to all body types, men and women, from 1m55/5,08ft to 2m+/6.5ft+ by applying the settings indicated in the manual and the pellets of different thicknesses provided. Attention: this initial fit adjustment is very important, both to ensure optimal protection, and above all a good comfort of use. Once your BUMPER is properly adjusted, you must feel firm support, but no discomfort. It usually takes 2 or 3 sessions before getting used to it. We are available to help you settle your BUMPER correctly. The BUMPER is compatible with all our chest protectors and back protectors, and can be combined with a Neck Brace. 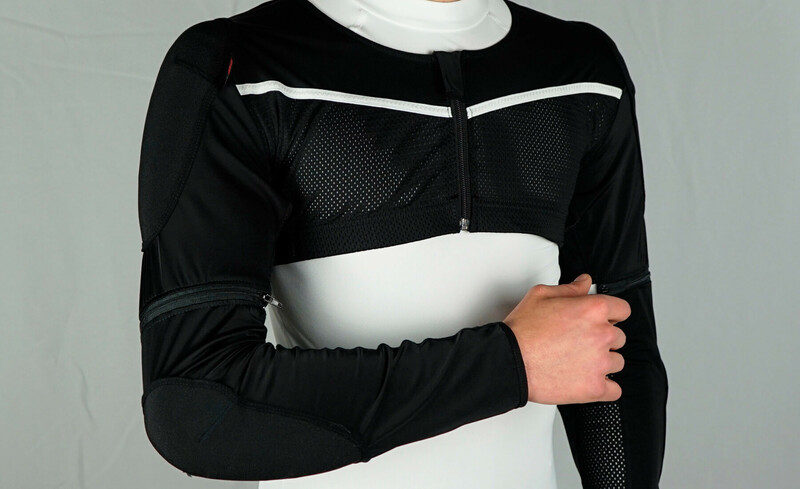 It is CE approved and its versatility of course allows you to wear it on a bike, on skis, quad, snowboard, etc. 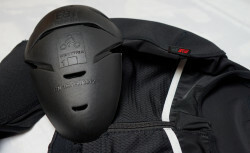 Delivered assembled, with its adjustment elements (notice, pellets), and removable bicep protections.